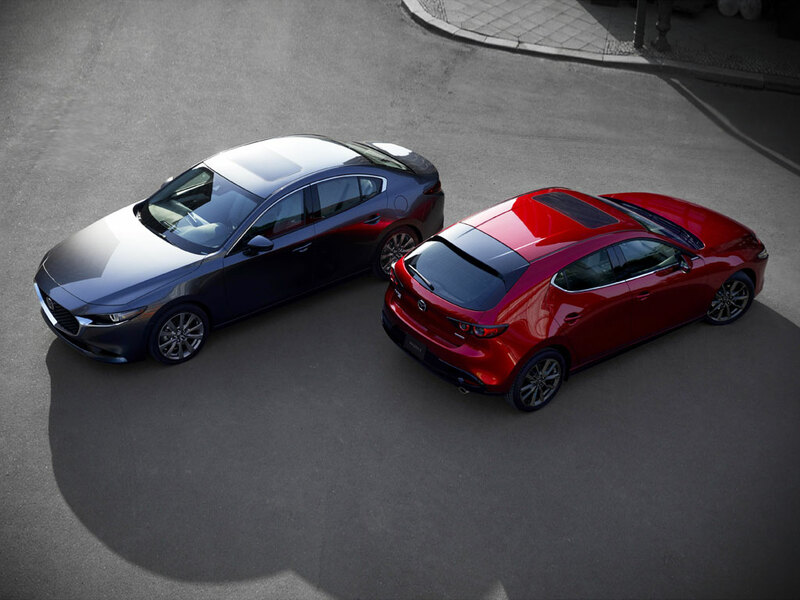 Mazda has revealed its new Mazda3 range, which debuts later today at the Los Angeles Auto Show and will launch the brand’s new ultra-efficient compression ignition technology. 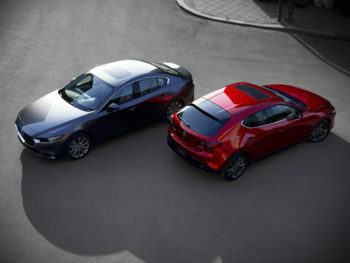 Launching globally in early 2019, the fourth-generation hatchback and saloon models will be built on Mazda’s new Skyactiv-Vehicle Architecture – which puts the focus on coordinating individual technologies to offers more comfortable and less tiring driving – and also uses the latest iteration of the brand’s Kodo design language. Engine line-up details are yet to be revealed but the carmaker said it would include the latest Skyactiv-G and Skyactiv-D petrols and diesels while the model will also debut the brand’s Skyactiv-X compression ignition tech. Announced a year ago, the technology is believed to be a first for a production petrol car and could bring better fuel economy than current Skyactiv-D diesels.